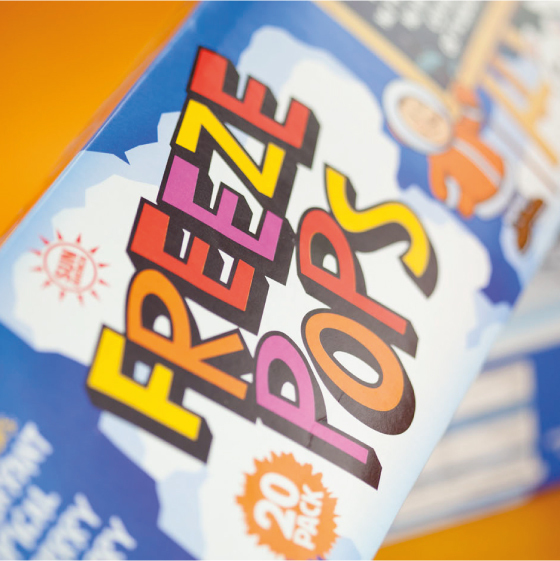 When Aldi’s popular freezepops under their Sun Quench brand needed a facelift we were asked how we might develop the look at feel. Aldi’s longstanding strategy of developing high quality private label packaging meant the bar was already set high. Our approach was not to begin with a blank canvas but to augment the visuals and target the messaging on what was already a very compelling product. 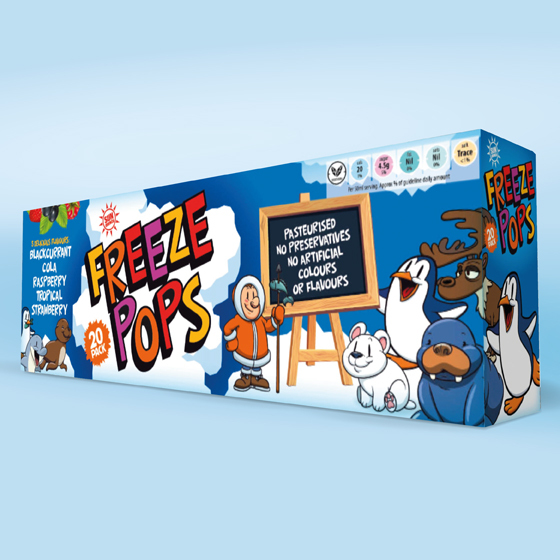 Enlisting a new illustrator, we expanded the rage of Arctic characters to represent the variety and broad appeal of the pops In addition to this, we also introduced a blackboard device to hold key claims targeting at shopping parents. Thanks to this fresh new look, and the beautiful summer we’ve had, the resulting pack is performing well.